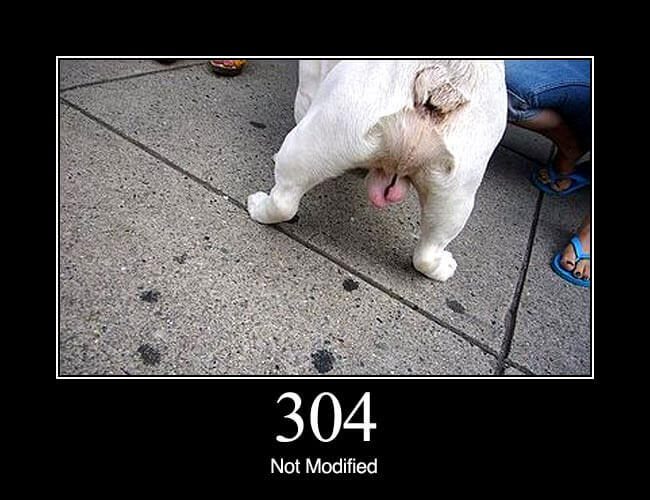 304 Not Modified: Indicates the resource has not been modified since last requested. Typically, the HTTP client provides a header like the If-Modified-Since header to provide a time against which to compare. Using this saves bandwidth and reprocessing on both the server and client, as only the header data must be sent and received in comparison to the entirety of the page being re-processed by the server, then sent again using more bandwidth of the server and client.